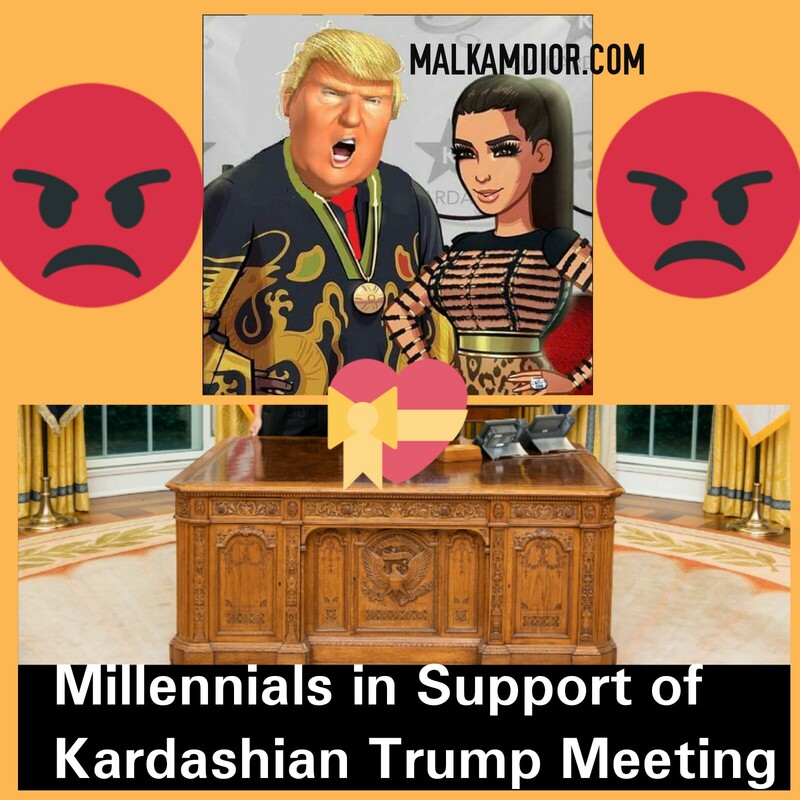 Millennials support the Kardashian, Trump meeting because it was a reality showdown Kardashian vs Trump. The alternative Kim summit. Trump gets a summit with one Kim: Ms Kardashian met Trump at the White House today to discuss prison reform and pardoning a first-time drug offender. The left should take note: If you want to create change, have dialect with those in power. 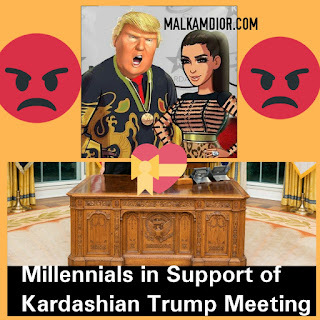 Good for Trump for meeting her. He knows she is not a fan, but he is willing to sit down and listen! Alice was a person in Memphis moving thousands of pounds of cocaine.“Kim is truly my war angel who will stop at nothing or leave no stone unturned to bring me home,” Johnson said in an email. “She is genuinely committed in her quest and has the sweetest heart for me," writes Alice Marie Johnson from Prison. So first offense or not her sentence seems pretty fair. Cocaine distribution. “To hear of how President Trump spoke of America’s belief in giving people a second chance in life ... gave me so much hope that one day I might be given that second chance too,” she said. She's trying to get a wrongly sentenced woman out of prison. She's there for a noble cause. If she can use whatever it is she does to help someone, let her.